Dozens of police cars from across Cook County took part in a silent motorcade at the start of a memorial for officers killed in the line of duty. 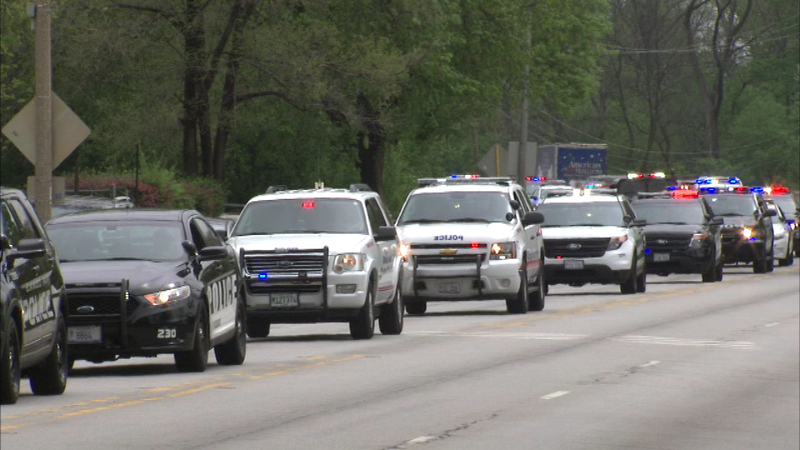 LYONS, Ill. (WLS) -- Dozens of police cars from across Cook County took part in a silent motorcade at the start of a memorial for officers killed in the line of duty. They drove to the Cermak Woods Forest Preserve in Lyons, where the ceremony took place. The annual event was organized by the Peace Officers Memorial Foundation. The ceremony recognized officers from across Cook County who died last year. There were also three historical honorees: One officer who died in the late 1800s and two who gave their lives in the early 1900s.